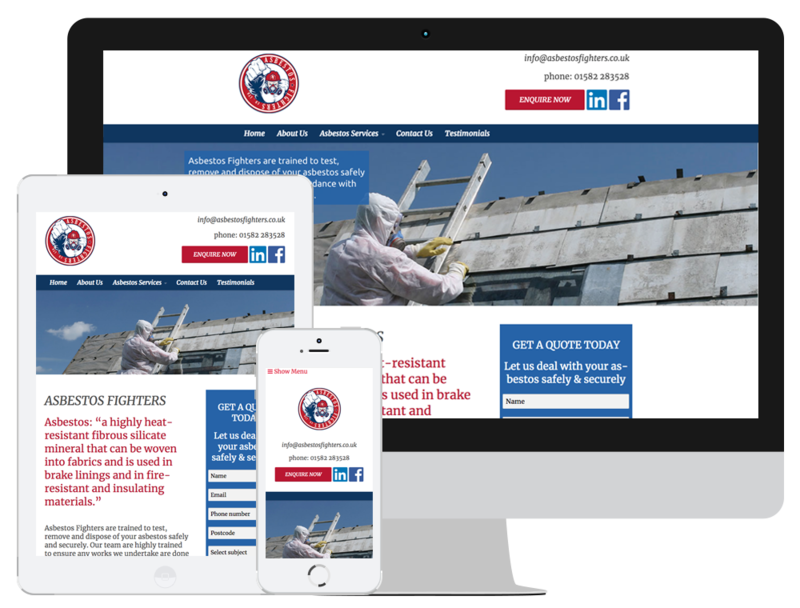 Asbestos Fighters didn’t have website when they approached us so we designed and built them a website from scratch. We created a page plan with pages for each of their individual services so each one could be optimised fully for the important keywords. As part of their SEO work we are continuing to develop their website, adding new pages each month to improve their organic rankings. “I would like to thank you for going above and beyond with my web design. This is the second time I have used your services and what a good decision I have made! Take a look at the Asbestos Fighters website.